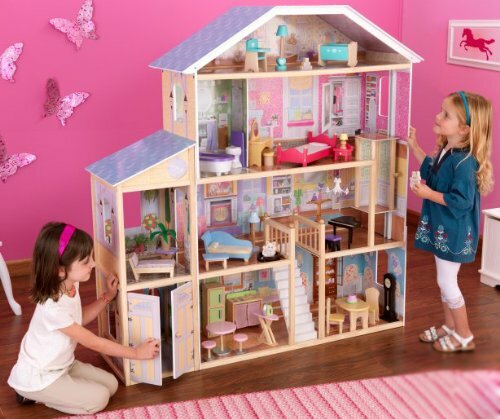 Find a gorgeous dollhouse perfect for Barbie size dolls. If your daughter adores Barbie dolls she will be thrilled to get a dollhouse made for her small friend. But where do you find a dollhouse for Barbie, because not all dollhouses are big enough? This can leave you feeling frustrated when you have decided to buy a Barbie friendly dollhouse. Why is it Hard to Find a Home for Barbie? If we think back to our own childhood we played with dollhouses that were wonderful for pretend play. They made us feel like we owned a mansion that was ours alone. Barbie brand dollhouses are not like the classic toys we grew up with. The dollhouses made especially for Barbie are also covered with pink (so you are in trouble if your Barbie lover isn't into pink). This means you have to look elsewhere for a dollhouse. 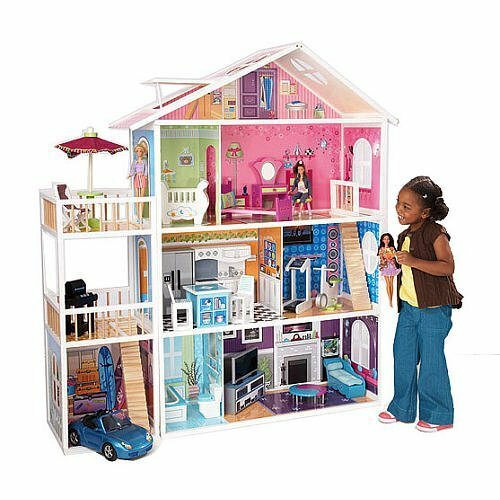 The average dollhouse is made for much smaller dolls because Barbie dolls are not traditional for a dollhouse. This means you need to find one that is a special size so it will fit Barbie and other similar dolls. 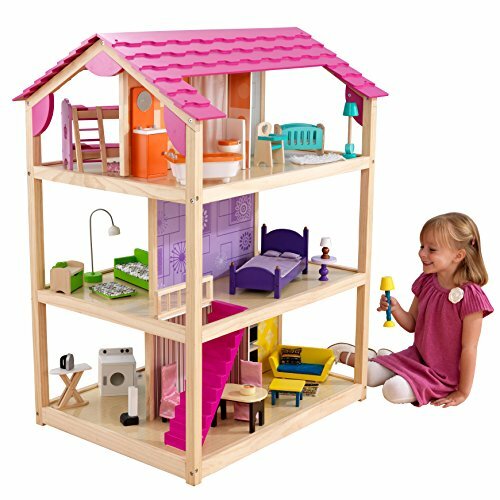 Size: This is a giant dollhouse with four stories and eight rooms, so it’s big enough for two or children to play with at the same time. This means if you have more than one young girl in your family it can decrease tantrums and frustration when they all want to play with the dollhouse. This dollhouse has all the typical rooms you would expect. It has a bedroom, bathroom, kitchen and two living areas. There is also a baby nursery on the top floor, an indoor patio and a garage. These rooms will help your child create extra pretend ideas about parenting and family life. Furniture: This dollhouse has thirty-four pieces of furniture and other items like a grandfather clock and grand piano. These will help with pretend play and give the dollhouse a classic feel. Other Features: There is both a staircase and an elevator (which moves back and forth between the second floor and the third floor). 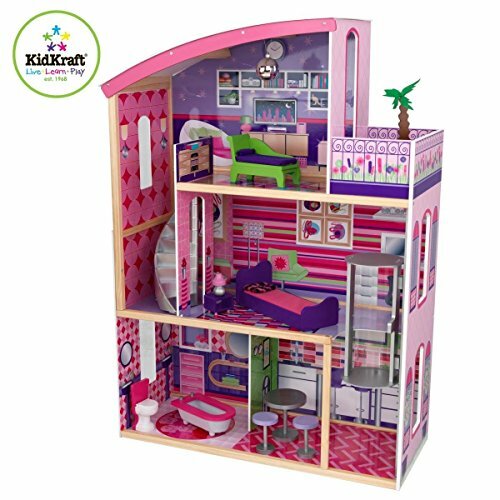 Size: This dollhouse has six rooms - an attic, bedroom, kitchen, dining room, bathroom and lounge room. There are two verandas on the house. 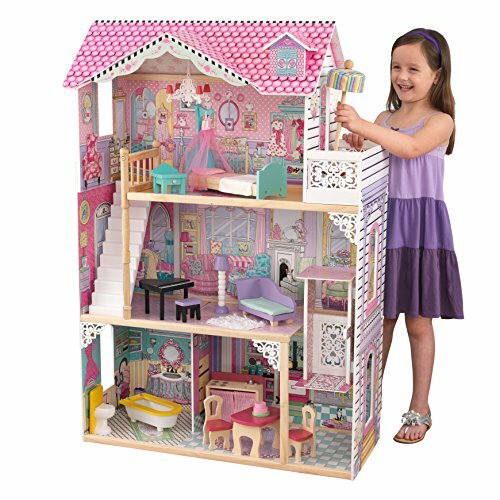 Like the Majestic Dollhouse this dollhouse is also big enough for more than one child to play with at once so it's another excellent choice for sisters to play with their Barbie size dolls. 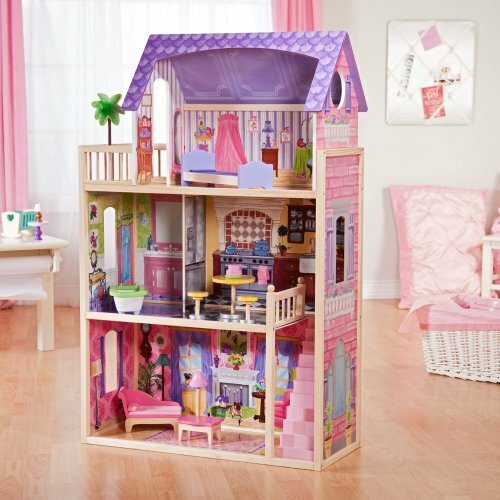 Furniture: The dollhouse comes with fourteen pieces of handcrafted and hand-painted wood furniture. These all have a classic feel (the bed even has a canopy to give it that old-fashioned look). There is actually lot of detail in this dollhouse. The beds have actual linen while the couch and love seat have cushions. The lattice work on this dollhouse gives it a sweet look, but it does not take away from the modern feel of this dollhouse. 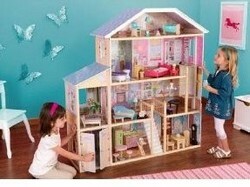 Size: It is smaller than the other two dollhouses with just four rooms (a bedroom, living room, bathroom and kitchen). This will still provide all the essentials for your child to imagine stories for pretend play. Furniture: This dollhouse has sixteen pieces of furniture including a chandelier, which I'm sure Barbie will love. The furniture has a simple, modern feel to it. 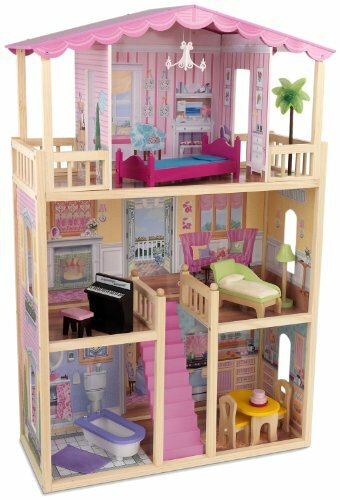 Other Features: This dollhouse has an elevator for Barbie to travel in as well as a staircase. Dollhouses have been around for thousands of years but they were not toys in ancient times. They have even been found in Egyptian tombs and probably had religious meaning. In the 16th century European dollhouses were also not for children to play with. Instead they were for adults to show their idea of a perfect house interior. Dollhouses were not made as toys for children until the industrial revolution. After World War II dollhouses became mass produced, were much cheaper to buy and more popular with families. 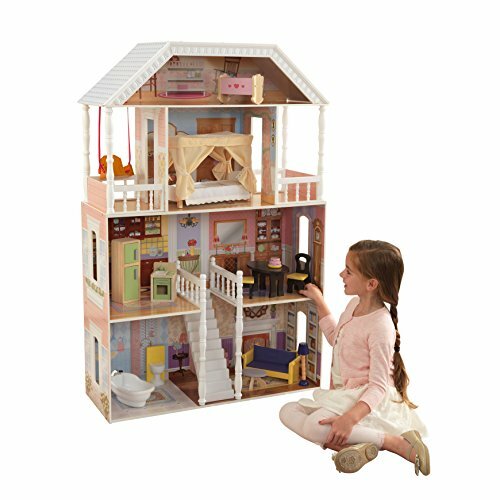 So dollhouses have a long history but they have only been a part of children’s lives for a small part of this. Dollhouses for a Barbie doll are even more recent.